These 3mm Core Flex? Titanium neoprene wetsuits feature a windproof rubberised panels on the front and back, designed to ensure the wearer stays warmer for longer. The suits are made from Titanium bonded neoprene, to increase heat retention- making them an ideal wetsuit for wearing on the beach in the changeable British weather! Also features a flush barrier neck closure system with zip lock, to minimise water inflow and irritation against the skin. Flatlock stitching is used througout to ensure the suit has a high level of durability and a good fit. 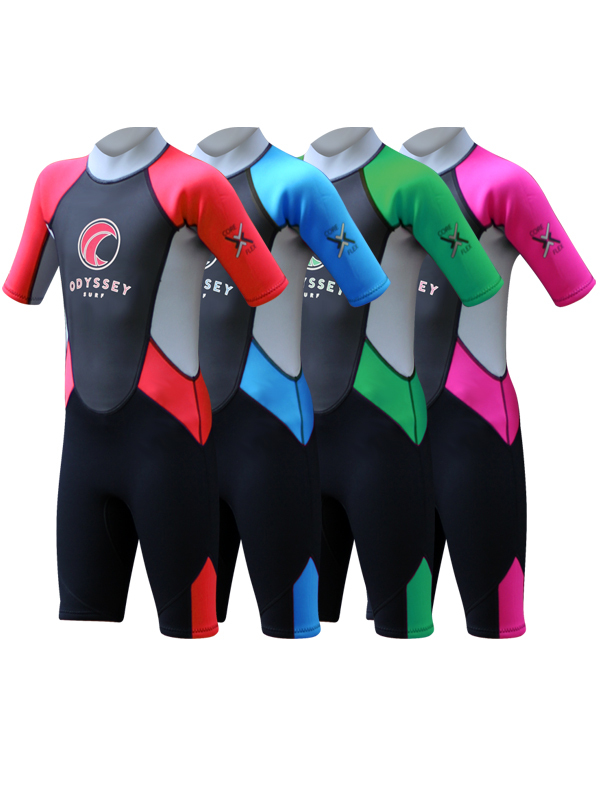 Odyssey uses high quality 3mm Core Flex neoprene for the entire suit. Core Flex is soft and stretchy 100% neoprene with Nylon laminate providing excellent comfort and warmth. Flatlock stitching is used throughout to give the suit a high level of durability and a comfortable fit. We are very excited to be able to offer such a high spec suit for such a low cost. These wetsuits really do offer exceptional value for money.